In May 2011 I was made aware by a friend’s mother of an ABC news programme that was about to screen. Apparently there had been news reports over the previous few days about a large number of metal on metal hip replacements failing. While I thought that this was interesting I didn’t think it applied to me as I “had a stainless steel” hip. I still remember the surgeon explaining to me that the stainless steel was a much better bet than titanium because it was more flexible and there were less complications, especially in younger patients, such as me – and that it should last me a good 20 years or so. Great I thought at the time. Made sense to me. I watched the ABC News report with real interest and began to see some parallels with my own experience but remained confused as mine was meant to be stainless steel and this would only happen with cobalt chrome prostheses. The ABC News Article is reported here [click here]. The text from the article is revealing and deeply disturbing for those with metal on metal (MOM) hip replacements (see here). The Articular Surface Replacement hip or ASR created by DePuy and marketed by the Johnson and Johnson company was sold to doctors and patients as a giant step forward in joint replacement. Its creators boasted it would give greater mobility and help patients get back on their feet quicker. Now reporter Quentin McDermott investigates claims that the metals hips are disintegrating and making patients sick. Australians spend over $7 billion a year on medical devices that are supposed to make their lives better. In most cases they do. Pacemakers, hip and knee replacements can transform a patient’s life. But who tests these devices to make sure they are safe? Now some doctors and policy makers say our regulation and testing regime is failing us and they are calling for greater scrutiny being directed to this essential industry. His name is Ron. He was an active, happy 76-year-old. In 2005 he had a total hip replacement. A short time after the operation the metal hip he received began to malfunction. A large lump, the size a grapefruit, developed on the side of his leg. After consultation with his specialist and being told little could be done, Ron asked for a second opinion. What he found shocked him and his new doctor. Analysing the fluid drained from the lump on his leg the doctor found pieces of metal that could only have come from the metal prosthesis inside him. Five operations later Ron has no hip at all and can barely walk. Catherine was forty three when she accepted her doctor’s advice and agreed to have an ASR hip replacement. After the operation she began to feel ill. Desperate to find out what was making her feel sick, she asked her doctor to do pathology tests. What she found horrified her. The tests revealed she had “toxic” levels of cobalt in her system. The only possible source of the cobalt was the hip she’d been given. Further investigation revealed the metal from the hip had damaged surrounding tissue in her upper leg and gave every indication her illness had been caused by massive levels of cobalt. Ron and Catherine are not the only people to find there are serious problems with the DePuy ASR hip replacements. It’s now estimated that the problems associated with this type of hip, which relies on metal to metal technology, could affect hundreds, even thousands of people across Australia. The Four Corners program “Joint Reaction”, presented by Kerry O’Brien, goes to air on Monday 16th May at 8.30pm on ABC 1. It is replayed on Tuesday 17th May at 11.30 pm. It can also be seen on ABC News 24 each Saturday at 8.00 pm, on ABC iview or at Video on Demand. Watch the ABC 4 Corners programme on their website [click here]. A medical scandal that has resulted in hundreds of patients being poisoned and seriously disabled may soon lead to changes in the way medical devices are approved for use in Australia. The full story of the failed devices – described by an English researcher as “perhaps the biggest disaster in the history of orthopaedics” – is told for the first time on television on tonight’s Four Corners program. There are calls for an inquiry into the regulation of Australia’s $4 billion medical devices industry following the recall of the faulty hip that left hundreds of Australians in unbearable pain. The articular surface replacement (ASR) hip was made and marketed by DePuy Orthopaedics, a subsidiary of the Johnson & Johnson healthcare empire. DePuy issued a worldwide recall of the hip in 2010 and voluntarily withdrew it from Australia in 2009, but not before 93,000 patients worldwide, 5,500 of them Australians, had been implanted with the faulty hip. Patients from Queensland and South Australia tell Four Corners they have suffered terribly from the side-effects of the hips failing. 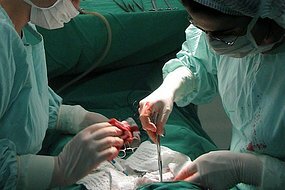 An increasing number of patients who had the hip implanted are having to undergo painful and complex revision surgery to remove the faulty hip. Many, in addition, have experienced severe illness away from the hip, which some doctors and medical researchers attribute to metal poisoning from the joint. Hundreds of Australians who had the faulty hip implanted are now joining class actions against DePuy Orthopaedics and Johnson & Johnson. High levels of cobalt and chromium, two of the metals used in the manufacture of the joints, have been found in the blood of many patients whose DePuy ASR hips have failed. Brisbane man Bob Lugton says the cobalt from his faulty hip had eaten away his thigh bone. Mr Lugton says the surgeon who removed the faulty joint told him that “my flesh had turned a grey black around the hip area”. “The bone, he said, looked like a sewer pipe and was full of a sludgy grey material,” he said. Mr Lugton also complained of tinnitus and problems with his sight, which he now attributes to cobalt poisoning. One Adelaide woman who had a cobalt reading 50 times the acceptable limit told Four Corners she had years of inexplicable serious illness before the faulty joint was taken out. Despite growing concern in Australia and overseas, the Australian Orthopaedic Association (AOA) is reluctant to accept there may be a real problem of cobalt toxicity in patients with hips that have failed. AOA vice president Graham Mercer says the issue of cobalt toxicity is still only anecdotal. “We are open-minded as to whether there may be an issue with cobalt toxicity in the future, but at the moment there’s not the scientific evidence to support that,” he said. But Four Corners presents evidence that pathology labs are recording much higher levels of cobalt than previously, and that this carries with it the potential for a range of toxic effects in the worst-affected patients, including blindness, deafness, seizures, cognitive problems and heart failure. “We’re talking serious toxicity in a large number of patients that have received faulty hip joints,” a specialist chemical pathologist said. So-called metal-on-metal hip replacements are coming under increasing scrutiny around the world following last year’s global recall of the DePuy ASR metal hip joint. Hundreds of thousands of metal-on-metal joints have been used on patients around the world. US regulator the Food and Drug Administration (FDA) wrote to manufacturers of metal-on-metal hip prostheses on May 6, demanding they study patients who have received their devices amid concerns the joints may be leeching potentially toxic metal ions. South Australian Senator Nick Xenophon, Four Corners reveals, will soon call for a senate inquiry into the approval process for medical devices like the ASR, which was not required to undergo clinical trials as part of its assessment. The Therapeutic Goods Administration (TGA) approves devices for use in Australia, and the DePuy ASR was approved for use here on the basis of European certification by the British Standards Institute. It was never separately tested by the TGA and the resurfacing version of the device – which was approved for use in Australia by the TGA – was never approved for use in the US by the FDA. TGA spokesman Dr Rohan Hammett says there are about 1 million individual medical devices available on the Australian market. “It’s not possible to individually test a million medical devices, but we need those devices to improve our lifespan, to provide treatment, to take away the pain that patients who walk around with osteoarthritis in their hips suffer from every day,” he said. Senator Xenophon says there needs to be legislative reform. “The system isn’t working as it should. It’s not protecting patients, and there is a lack of transparency in the current system in terms of the way the TGA acts,” he said. The TGA says it is moving to reclassify joint prostheses to allow a greater level of oversight before a joint is approved. The Four Corners investigation explores the circumstances leading up to last year’s global recall of the DePuy ASR hip joint. Experts overseas and in Australia say for years they warned DePuy and Johnson & Johnson the device was failing. 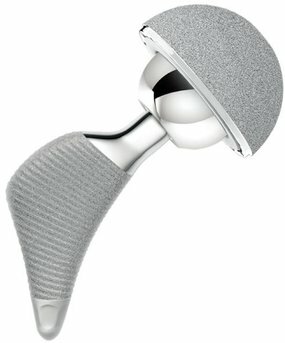 About one in 10 of the 35,000 hip implants in Australia in 2009 used metal-on-metal devices, according to AOA figures. The TGA says it is monitoring the issue of metal-on-metal devices closely through the National Joint Replacement Registry (NJRR), which collects data on failed implants. NJRR spokesman Stephen Graves says the registry “has been identifying for the last two years that metal-on-metal, as a group, has a higher risk of revision”. But despite criticism that in the case of the DePuy ASR it did too little too late, the TGA says it is proud of its record. “Australia led the world in removing this device from the marketplace,” Dr Hammett said. Ignoring the pain experienced will just worsen the problem. The best thing to do is going to the law firm and seeking the help and assistance of the lawyer. i have a PFM STEM AND A PINICALE CUP WITH A METAL LINER AND A CERAMIC HEAD , com COMPINATION I HOPE THESE ORE OK ? THE PINICALE CEMENTLES CUPS HAVE GOOD RESULTS INTO 25 YEARS NOW ITS HARDLY EVER NEEDED TO BE ALTERD THIS CUP JUST WORKS . I have not heard of any problems with that combination – it is usually the metal on metal that causes the issues. If if feels good still then it probably is. My father in law had his last hip for about 20 years though I am not sure what it was. If you have popping, clicking, feel pain, dislocations, then these can be indications all is not well but I am sure you would have noticed if there was a major problem. A blood test for cobalt and chromium can be done as a cross check – and in my case it was obvious from the X-Ray that I had a problem with bone loss and tissue damage. So checking your X-rays with your surgeon is a good idea. Or get a second opinion if you are concerned.